Walt Disney Imagineering (WDI) designs and builds all the attractions at Disney theme parks world wide. 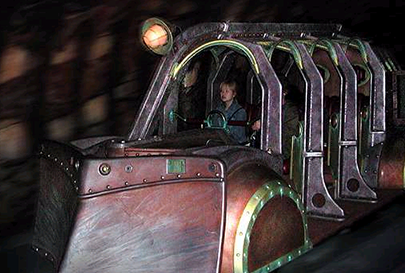 I worked as a Mechanical Design Engineer in the Ride department. My first niche was in napkin sketching, working with the Show department to determine preliminary engineering load estimates for new rides. This collaboration led me to co-create applications that seeded the intranet for WDI. Co-workers remember me as the guy who built vehicle models using Legos.